One of the best ways to promote affiliate products and services is to create affiliate marketing websites. In this post affiliate marketer Mark Ford shares a 5 step blueprint to help you create profit pulling affiliate marketing websites. Many beginners to online business look towards affiliate marketing as a business model to enter the world of online business. The reason is because it is so easy to get up and running and in very little time. Also it is very cost effective as you don’t have to create products and services yourself because you can leverage other people’s established products and services. Later in this post I will introduce you to an online business education organization which has systems and point and click softwares where you can create as many affiliate marketing websites as you wish. 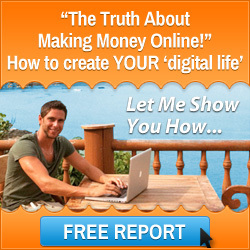 Before I do that I want to share with you a very simple blueprint to creating affiliate marketing websites. Pick a niche that you have an interest or passion in as it will keep you interested and your motivation levels high. One thing to remember is that you are here to make a living so when researching your niche make sure that it is one that has the potential to be profitable. There are many evergreen niches such as Making Money Online, Weight Loss, Dating and Health that will always have a lot of interest, and they are all niches that people spend a lot of money in. Also there are many passion based niches such as cricket, photography, golf and motor sport where people don’t think twice about spending their hard earned cash. There are many platforms on the market where you can create affiliate marketing websites. Some are free options and some you have to pay for. My favourite and recommended platform is WordPress because you have lots of functionality with WordPress and the majority of the time it is point and click. WordPress make it very easy for you to add many forms of content and the search engines such as Google like WordPress sites so tend to rank them higher in their search results. You can add content to static pages or through blog posts. Here you can get really creative and create many different types of content such as written posts, videos, images and audio files. Your content needs to have a purpose and you should always look to solve problems through the content you publish onto your website, and then put a call to action at the end of your post. This could be to sign up for a free offer or a paid solution but you need to tell people what to do. Also your content should always be 100% unique and not just copied from other people’s sites. There are hundreds of affiliate programs which have lots of affiliate products and services that you can promote. The best tip I can give you is to research the affiliate programs and look at things such as the products they offer, the price of the product and the commission rates they pay when you generate a sale. Look at the affiliate programs performance overall to make sure they are credible and payout on time. Then I would suggest you purchase the products and services to see the quality and how well the customer service is. Once you are happy choose just a handful of programs to promote. Don’t fall into the trap of promoting hundreds of different products as you will get confused. 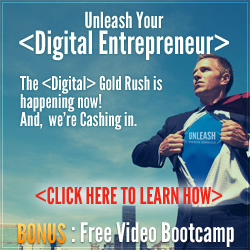 Now you have everything set up you will need to learn how to drive traffic to your website. The first way is through blogging and you should focus on long tail keywords which are considered buyer keywords. These keywords highlight a specific problem that people are searching for when they go onto Google and the other search engines. When you do this you will find that your content will be listed and people will click on the link to your post and be directed to your website. Then there are many other ways to promote affiliate products and services such as social media, paid marketing platforms such as Google Adwords or Bing. The best advice I can give you is to invest in your education and learn 1 or 2 platforms at first, then master them before moving onto other platforms. Earlier I mentioned an online business education organisation that will not only help you build affiliate marketing websites, they will also teach you how market any product online. 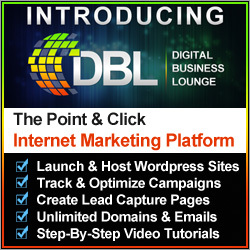 They also have a digital marketing business system that you can leverage to promote their products and services as an affiliate. They are called the Six Figure Mentors and over the last 7 years I have helped thousands of people start to create an online businesses from home. To find out more about how they can help you please click on the image below. 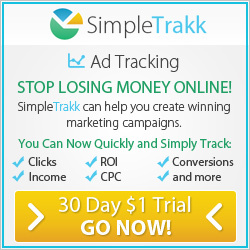 So a you can see it is quite straight forward to create affiliate marketing websites. Follow the affiliate marketing tips that I have shared with you and I also invite you to look at the resources that the Six Figure Mentors offer and I am confident that you can create a very profitable affiliate marketing business. I wish you every success in running your affiliate marketing home business from anywhere in the world. This entry was posted in Affiliate Marketing and tagged affiliate marketing home business, affiliate marketing tips, affiliate marketing websites, mark ford. Bookmark the permalink.